This beautiful wedding shoot was conducted at the bride's horse farm in central Ohio. LMAC Photography always encourages brides and grooms to select wedding photo locations that are meaningful to them as a couple. This bride and groom selected the bride's horse farm, where the bride grew up. It was a gorgeous and rustic location, with a lake, and fields. 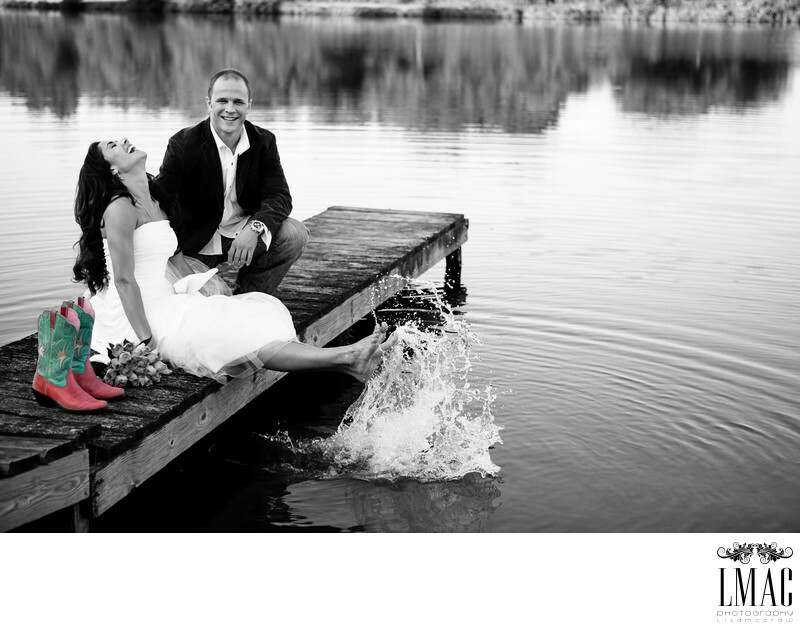 The bride wore these amazing cowboy boots that were colorful and appropriate for the occasion. Those boots were calling out to be spot colored, an editing technique where one element of a photo is kept in color, which the photo as a whole is converted to black and white. It's a popular editing technique in wedding photography.